How can Urban Outfitters bring style advice to a shopper in their PJs? 43% of shoppers said styling advice would lead them to choose one retailer over another, especially at a store known for bold accent pieces like Urban Outfitters, but retail is becoming an on-line affair without a sales assistant or BFF in the dressing room. Create an on-line retail experience that revolutionizes picking an outfit by using style experts to assign each piece of clothing a different sound. Through social listening, interviews and a store walk through, we pinpointed that Urban Outfitters is known for distinct, individualistic accent pieces. Urban Outfitters pushes you to boldly discover you. * 57% said they would be interested in advice on how to wear a product in-store or online (Mintel). PROBLEM: How can Urban Outfitter's give style advice to a shopper who is never entering their stores? The brand’s alternative roots sink deep into culture, especially music. Enter our partner: Roli music technology. We used their sound database to create unique sounds for every item of clothing. Each basic piece received a more blend-able sound while accent pieces were given a more intense and recognizable sound. With Urban Vibes, Urban Outfitters created a new way to shop: a way to find your style, your sound. STRATEGY: Revolutionize picking an outfit by assigning sounds to each piece. Then we hit a hiccup. Through user testing we discovered that shoppers did not trust an impersonal algorithm to pick their outfit. 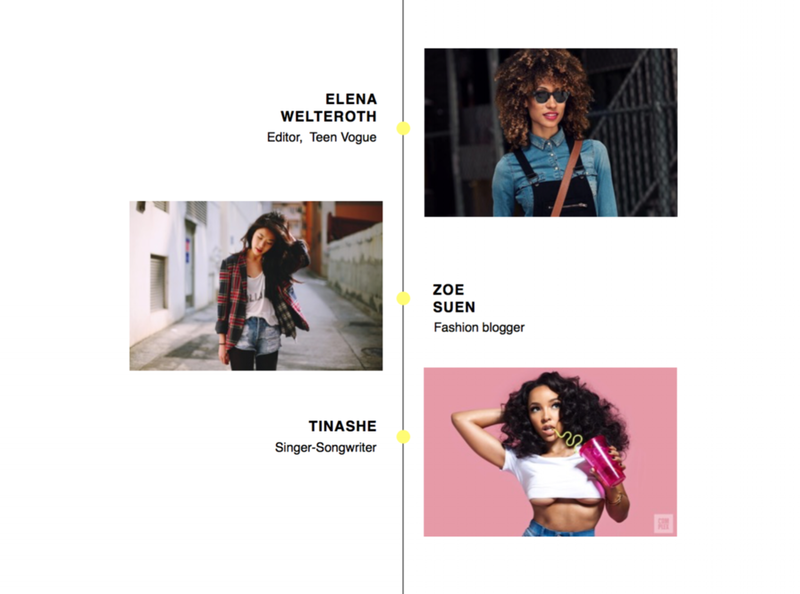 We course-corrected and employed three well-known Instagram influencers to share about the process behind assigning specific sounds to each item of clothing.